GPRS settings are usually sent immediately after activating an internet connection with Idea Airtel, Vodafone and BSNL. And if you have missed the settings message, just call the customer care number. They would resend it for you. Your phone must be switched ON for receiving GPRS settings. Nokia and SonyEricsson customers have other options to get GPRS settings. Nokia customers, visit this website to send the GPRS settings directly to your Idea, BSNL, Airtel or Idea mobile. SonyEricsson’s website is providing SMS based OTA GPRS settings here. GPRS settings for Motorola, other mobile phones and service providers can be found here (link expired). And if you have a Symbian s60V3 Nokia mobile phone, there is an easy method to get GPRS settings. Just go to tools from your Menu And select settings wizard. Depending on your connection, Airtel, Idea, Vodafone or BSNL, settings will be automatically retrieved and saved to your mobile phone. Check how you can increase internet speed in Airtel GPRS. Do you want the GPRS/EDGE/3G settings for a particular mobile phone and network? Share it in the comments- we might be able to help you. I think that site is not offering contents to India now.. Please check! i bought a new chaines phones ACE tm. 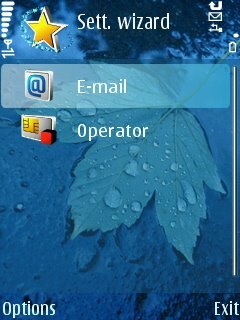 i have activated wap89 download on sim. Hey friend, thanks a lot for your article. It really helped me. I guess this will be helpful for all over here. never try the above its all fake and cheating ….. Thank you for that setting wizard.Really thank you mannnnnnnnnn. I ws askd 2 snd….” S(space)IMEI no of d phone” 2 52586 to get d settings..